This article was originally posted on November 8, 2018. Are you auditioning for an a cappella competition or showcase? Are you even thinking about it? 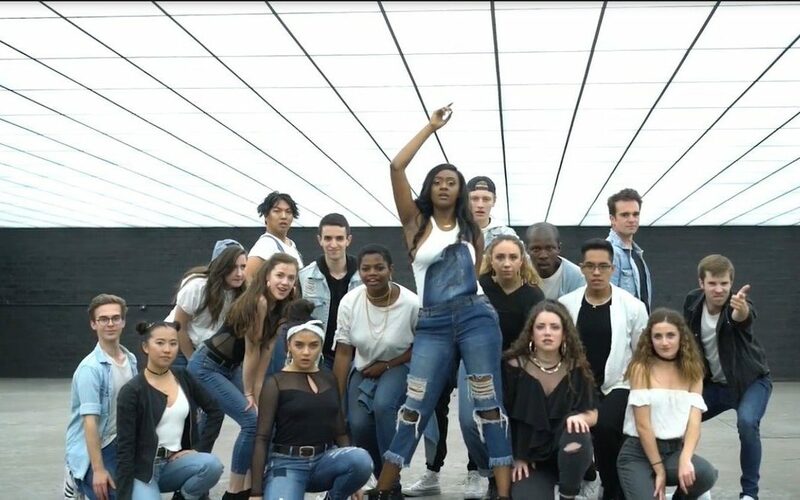 With the National A Cappella Convention deadline approaching for high school and college groups, you’ll need to create an audition video that can stand out against groups from across the country. Here’s what you need to do to show off your ensemble’s skill in the best possible way. Choose a song (or multiple songs, if needed) that demonstrate the strengths of your current group while avoiding their weakness. Performances with emotional depth will capture the attention of the judges (and the competition audience), so choose songs that your students can easily connect with on an emotional level. Film the video in a room with good lighting that doesn’t cast shadows on the students. You need a controlled environment with as little outside noise as possible, where the group can be heard clearly. Use a video camera or phone camera that captures in HD or at least 1080p so that the video is clear. Position the camera as close to the group as possible while still capturing all or most of the group’s members. Put it at or slightly above the group’s eye level, as opposed to lower in the audience, whenever possible. It’s okay to pan the camera throughout the performance, but you want to have the majority of the group’s members on camera at all times. Make sure all faces can be seen clearly so that their expressions and emotions are visible. If using individual mics and recording onto the sound board: Make sure you record with a good balance, but don’t over-mix from the board. You can make adjustments afterwards as long as none of the audio is distorted. If using individual mics and recording from the speakers: Same as the above, except you have to make sure the sound isn’t clipping on the microphone (external or camera) that you use to record. Test the sound and listen back to make sure it’s a clear representation of your group. If not using individual mics: Make sure the area mic or camera mic is close enough to pick up a clear representation of your group. If recording a live concert performance: Make sure the resultant sound isn’t muddy, all lyrics and sounds can be heard clearly, and the balance represents your group well. In these situations, camera microphones may distort the sound too much. This video from Briarcrest OneVoice was filmed without individual mics or a controlled acoustic space, but they used their environment to create a visually pleasing setup and sang to accommodate the space. Should you have choreography in your video? The AEA judging rubrics for Performance elements reward emotional engagement and authenticity over choreography. Your priority should be to put your singers in a position where they can best engage with the message. If choreography helps their emotional engagement, and doesn’t hide a lack of emotion, go for it! If choreography detracts from emotional engagement and/or from their singing, avoid it. Many groups choose to record in their classroom or an acoustically dry room, with no mics, in a static formation where they can hear, be heard, and be seen clearly. They focus on singing well and conveying emotion, and even some choreography-heavy groups use this minimalist approach for video submissions with great success. Thanks to Drew Wheaton for contributing to this article. Drew is the AEA National Championships Director and tenor of Forefront, the 2016 International Barbershop Quartet Champions. Stay tuned for more articles on what YOU need to know about a cappella education every week.